I first set foot on Disney property, carried by my parents at 18 months old. At the time only Magic Kingdom, Epcot and MGM (Now Hollywood Studios) existed, the resort looks nothing like it does today. I’m sure my mother at the time who was about the same age I am now felt the same way, being that her first trip was in 1976. 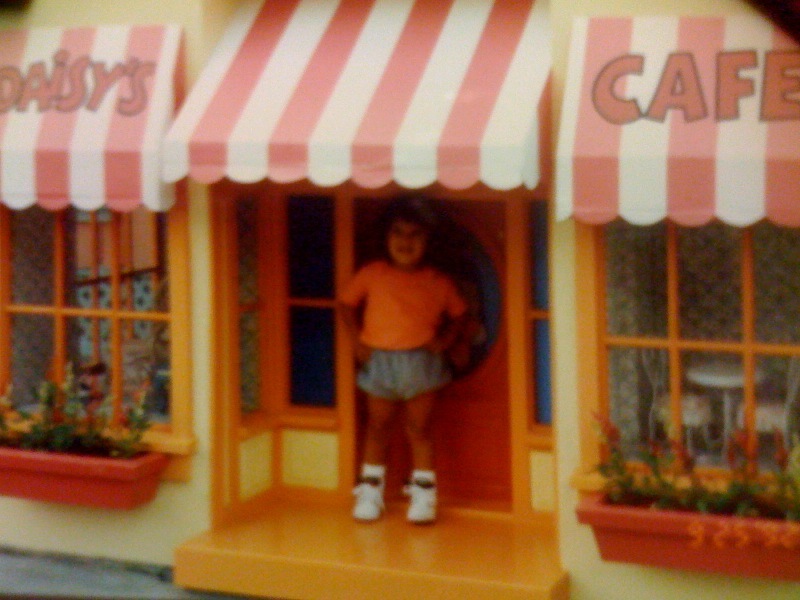 Spunky 18 month old me chilling outside of Daisy’s Cafe at Mickey’s Starland in the Magic Kingdom March 1991-ish? I grew up with the mouse, from films, music, books, toys, games and most importantly Disney trips. Unlike many other kids I am lucky, I live 3 and half hours from property and trips to Disney were like trips to the beach for me. When I was 19 I worked in the College Program and got to make the same magic I grew up with. I’ll be 26 this year and all the changes that have happened and continue to happen leave me in awe. It has left me wondering what has happened to MY Disney, and Disney has come a long way since Mickey’s house. Though Mickey’s house no longer exists, and Starland which became Birthdayland and then Toontown fair is no longer there. It has since been replaced by Storybook Circus during the expansion of Fantasyland in 2012. While I miss the Old Fantasyland having worked much of it during my time on College Program, I realized change is amazing. Disney has newer and newer technology every year and to see where they are taking their parks and resorts proves that they are keeping Uncle Walt’s dream alive, though many would argue otherwise. But it makes people like me miss what was and what has been, MY Disney is a thing of the past. Below are 10 of my favorite rides and attractions of the past and a few of my own memories. Back when MGM opened on May 1, 1989 it was a race to the finish line, with Universal Studios Orlando erecting a park not even 10 miles down the road Disney had to step up their game. While the park was largely unfinished on opening day, it still had a great look into the movies and TV shows produced by Disney and up until very recently it still did. The original version included a ride through the now pedestrian only New York Streets/Streets of America and a tour of the working studio. While I don’t recall the original version from the early 90’s at the time it was a real working studio and had both live action and animation happening on property. Though as a kid I remember Catastrophe Canyon and being scared out of my wits as it caught fire and the tanker dropped. For me this was as real as it got, and I honestly believed we were in danger. The few memories I do have of the tour include the walking tour through the now closed Sound Stage 3 and seeing the exterior facade of the Golden Girls house. All of the backlot is now closed, though some of the props still exist like Walt’s Plane and a few other film vehicles and will hopefully eventually be moved to make room for Star Wars. Adam the Woo who creates videos about abandoned locations, as well fun Disney videos recently talked about his MGM studios and what the changes mean to him. Check him out below and check out some of his videos, he’s very informative. Epcot is my favorite Disney park, I love travel and learning so it is the perfect combination for me. While the World Showcase is my favorite, Future World had a lot of stuff I also loved. In Future World the idea is that you visit pavilions to learn about things, from how food goes from farm to table, how energy is made and even how your imagination works. My favorite was Wonders of Life, I absolutely loved Body Wars, riding the bikes through the virtual town, playing with the sensory poles and so forth. To me Wonders of Life was the coolest place in all of Epcot, and Body Wars was my favorite ride in there. After 2007 the building fell into disuse and like many Disney landmarks was reused for something that was unrelated, and if you have visited for Food and Wine OR Flower and Garden you know this wonder is now home to cooking demonstrations, gardening demonstrations, as well as items you can purchase commemorating the event. It’s interesting to walk through the building and see the original carpet, watching Robert Irvine cooking inside the Cranium Command theater and just a ways off the eerie shadows from where the virtual bikes stood and the sensory poles mean nothing now. To me this was the real hit I took, because I loved the beautiful golden dome tucked behind a wall of trees and even as a teenager I made it a priority to ride Body Wars. Before Soarin came to Florida all the way from Sunny California, there was a pantry rocking in the space. I don’t actually remember Kitchen Kabarat but I remember Food Rocks and remember the silly little nutrition show from the tough guy bad for you metal band, the fun little candy bar gal singers, and so forth. While I didn’t go to Food Rocks often, I did make a trip to see it once in my teens prior to it closing in 2004. Food Rocks was quirky and part of the original Epcot that many recall, but I am not too torn up about this one because Soarin is pretty awesome. Currently Soarin is down for it’s own work up and a change to the film shown during the ride as well as the addition of another theater to accommodate the large crowds it draws. One of the original Magic Kingdom rides, and it was probably one of the rides that terrified my mother the most in 1976 during her first visit to the park. While the ride had an overhaul by the time I rode it as a child, it is one of those classics that will always remain with you. While I am not hurt that the ride closed, because I love Mine Train, I miss it because of the kitsch factor. Snow White was a staple in Fantasyland and was a bit terrifying, granted by the time I rode it for the last time at 21 it was just bad day-glow paint and outdated audio animatronics. The reason it makes my list? It reminds me being a kid and going to the park with my family and taking my abuela to show her all the things I thought were cool. Like Hollywood Studios, Animal Kingdom was still missing things when it opened in 1998. Camp Minnie Mickey was placed as a holder when the park opened and the original concept of Beastly Kingdom never was. Along with Camp Minnie Mickey came Tarzan Rocks! which was the epitome of 90’s cool (Anyone remember Brink?). The show which told the story of the movie, set to the original soundtrack brought the jungle to life with X-Games style tricks. The show was fairly popular with kids and adults and brought the movie to life in a way many could appreciate. I remember always seeing Tarzan when we were there, sitting with an ice cream watching these guys on skates performing tricks and watching in awe as Jane and Tarzan swung across the stage and he skated and did tricks. Looking back on it now, it was kind of strange but for 9 year old me, it was amazing. The show was replaced by Finding Nemo the Musical which according to my mom is kind of boring and I kind of have to agree. Before you could conquer Summit Plummet at Blizzard Beach or ride the water coaster at Typhoon Lagoon, there was River Country. River Country was opened as the first water park on property and part of the expanding Walt Disney World Resort. The water park which used water from the man made Bay Lake located feet away. River Country was supposed to mimic an old time Southern swimming hole, and had not only slides but also a swinging pole and a zip line into the water. I only visited River Country once in 1997 and never set foot in the water, due to a thunder storm that swept the area. I recall trying to wait it out but it never stopped raining, my mom and I eventually packed it up and went back to our hotel. River Country isn’t significant because of that event, to me is the mythos of the abandoned park. Unlike many structures like the drained and later filled 20,000 Leagues Under the Sea lagoon in Fantasyland that was destroyed, River Country has been left to rot in the Florida sun. The park is still in it’s original location, but unlike in 1997 it has become an eerie site of forgotten memories and gross green water. But along with the eerie abandoned park, there is the fact that no one ever got a straight answer as to why the park closed. Many assume it was due to the rise in amoebas in Florida lakes and a few incidents with said amoebas, but Disney said it was about the cost along with their 2 other water parks, in the end it doesn’t matter because River Country closed and was never opened again. Many folks have gone behind the gate and trespassed through the park to photograph or take videos of the long forgotten park, and Google Earth for those of us who aren’t as brave provides a great view of the park in it’s current state. I grew up during the height of the Disney Renaissance, I have a large collection of VHS and toys from that era. During the Renaissance Disney released what many would consider some of their best animated films, which was reflected in the parks in their stage shows and parades. A Festival of Fools was one of these shows, to the point that the large carnival scene with confetti was part of the promotions for the vacation kingdom. Like many young kids in the 90s, Disney films were everything and my parents would take me to the movies to see them, buy me the VHS and usually my costume along with my school supplies was whatever movie was playing that year. Hunchback was one of those films, I loved the colors and Esmeralda was so cool. Besides Pocahontas she was the only Disney girl who looked like, tan skin and dark hair so I was hooked. I will say this I am still waiting for a Latina princess, it would be nice to see the representation but that’s a story for another day. When I went to Disney that year and Festival of Fools was playing I couldn’t be more excited, here was a live version with the actual characters on stage. This was a large production with many players, toe tapping music and of course bright colors. It brought the movie to life in the most amazing way and to any 6-year-old the colors alone were enough to keep me glued, but seeing my hero Esmeralda was the icing on the cake. Disney hasn’t quite produced a show like this in years, and unfortunately they seem to be a thing of the past. With kids more connected than ever, many of these stage shows I grew up with are slowly disappearing or being adapted to be more for the kids of New Disney. Sometime in the mid-90s Disney acquired Doug from Nickelodeon and the cartoon came to life on stage at Disney’s MGM Studios. The ABC Theater which up until recently held The American Idol Experience, has played host to plenty in it’s time in the park but Doug Live! was one of my favorites. Doug was a huge part of my childhood and like Hunchback it was my favorite characters brought to life even down to Doug’s white shirt. The show featured a segment with The Beets Doug’s favorite band, and they would select an audience member to come up and play a part in the band my mom was one of the people selected. I remember thinking it was so cool that my mom got to be in the show that she was up on stage with Doug. Oddly this show while short-lived served as one of my better childhood memories because of that little thing and thats the beauty of Disney magic. I will preface this by saying, I never set foot on this ride, I was probably too small to ride before it closed and from what my family tells me this ride was always down. Like River Country it has become an obsession with the Mythos of the ride and the vastness of it, the ride area has disappeared today because let’s face it who needs a giant lagoon and show building taking up space? I can remember that the ride had shut down and during the 90s it became home of the Character Festival which used the queue and the show building as a photo backdrop. 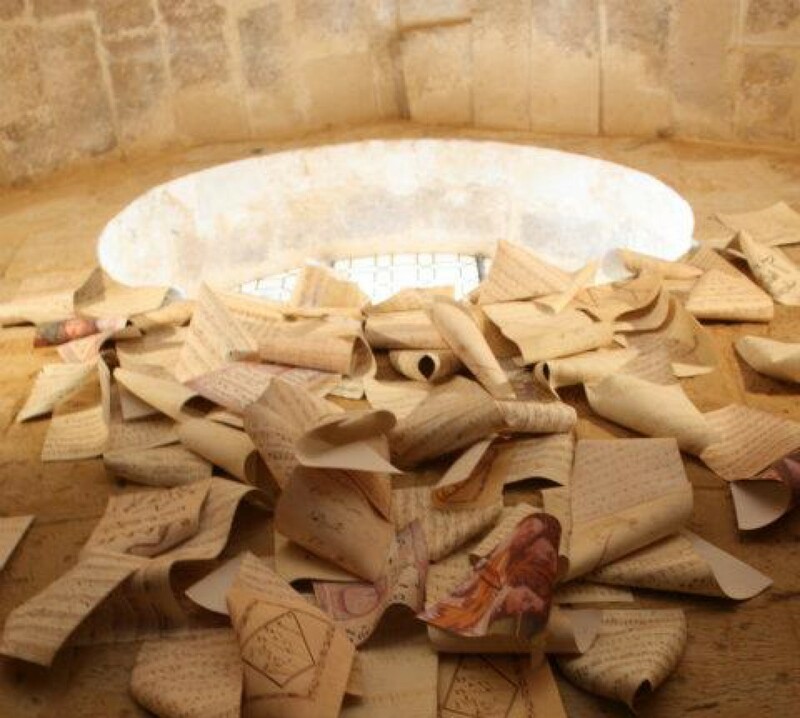 Eventually the building was torn down and it was used to meet Ariel in her grotto. I spent a lot of my College Program with Ariel and I remember walking the catwalk to her grotto and for me it was a major nerd fest knowing that the catwalk was once apart of the ride I never got to enjoy as a kid. The obsession is so bad that back in 1999 I wrote a letter to the Walt Disney Company asking for them to remake the ride because of my obsession with this ride. Why was I so obsessed? My dad used to tell the story about how the squid at the end scared him to the point of tears, and I as a very imaginative youngster thought it was real and was wondering how a squid could be kept in a cave at Disney World. Obviously as I got older I began to realize that wasn’t the case, but a case of a realistic audio animatronics that had a scaled down Nautilus in it’s grips. I never saw the actual ride, but thanks to YouTube I have gotten to watch old family videos and have gotten to enjoy what was once. While Walt Disney World does not plan to make another 20,000 Leagues, Disneyland currently has a Finding Nemo version that is the same concept and Japan has a water free one that is filled with new technology, so maybe one day? Mr. Toad’s still exists, just not on my side of the country unfortunately. I LOVED this ride and when I say I LOVED I mean I would make my family stand in line for hours just to ride it. For me Mr. Toad’s was so cool and when you’re little and aren’t tall enough for Space Mountain this is just the thing to do it for you, it had bursts of speed, darkness, loud noises I mean it was just a fun ride. I also loved this ride because my Abuela would go on it with me, she was always more than willing to stand in line for however long and enjoy the ride with me. I think it was such a hard blow because I was 8 and I was just starting to get into thrill rides, I think when I was 11 I rode my first upside down coaster at Sea World. I can’t say I recall too many details, save for the part where the train tries to run you off the road and the light blinding you but I remember it had a steering wheel and I loved to pretend to drive recklessly and making my Abuela laugh at me. Apparently the ride ended in like a hell scene? I can’t say I recall that but hey why not, can’t be all sunshine and rainbows right? So for me this was the hardest blow, it was also around the same year I started realizing so much stuff was changing and I was so upset it was happening. I guess I’ll have to go to Disneyland to enjoy Mr. Toad, and I hope to have the chance eventually. Mr. Toad’s today is Winnie the Pooh’s and I can’t say I hate it but it’s not something I am too crazy about, I still ride it though just to see the small homage to Mr. Toad. You can also catch a glimpse of Mr. Toad over in the cemetery at Haunted Mansion, he’s all the way in the back and to the left, say hi to him before you go! That’s it, that’s my list of things that have changed and now with the continued changes coming in the next 5 or so years, I am starting to realize the parks I knew are no longer those parks but something else. I will say this, I have a huge issue with the lack of an off season and Disney is getting a bit out of control with some of these races, festivals and what nots because it is making it hard for guests who are loyal and dedicated passholders to come when they can’t even get an on property room. So with that said, sound off tell me what you miss, what you wish wasn’t the way it was or the things you are excited for! If you have any suggestions, comments or concerns let me know, I’ll gladly share what I can! When Star Wars hit theaters in 1977 it brought with it a new look at Sci-Fi, prior to its arrival Star Trek ruled the small screen. But something about Star Wars was different, it was a Space Opera and after that America was hooked. With it came toys, action figures, bed sheets, lunch boxes, whatever you could plaster Luke Skywalker’s face on you would find it. Back in 77 and in the subsequent years after, you wouldn’t find any traditionally “girly” toys or clothing. Sure you could steal your brother’s blaster OR better yet his clothing, but it wasn’t yours. While I discovered Her Universe back in 2013, when I bought my first Doctor Who leggings the company which is owned by Ashley Eckstein the voice of Ahsoka in Star Wars: Rebels & Clone Wars brings to the table looks that are strictly girl. From leggings to hairpins, Eckstein’s company has paved the way for others to do the same and provide girls with plenty of cute looks. It was around this time I started noticing more and more products for girls hitting store shelves. The thing with Her Universe unlike many other companies is the fact that the products are also come in Plus Size and in the last year items have been sold at Torrid, especially the new Force Awakens line. This inclusion is also important to note as well, because girls of all sizes and shape can now participate in being geeky and stylish. I gush about Her Universe a lot because for the first time in my life I found clothes that was girly and fit the kind of image I like to perceive. It also helps that the items from the different lines are available not only from the main site but can be found online and even at places like Hot Topic and are easily accessible. Though in 2 years and the resurgence of Star Wars items are popping up all over the place from Target to Macys, girls both young and old have choices. Lines like Rock and Republic (found at Kohls) and even JcPenneys has what they have dubbed a “New Generation” of Star Wars items which includes items for women in stylish cuts and designs. What was once not accessible to women before has now been dubbed Geek Fashion and racks are suddenly overflowing with skater dresses and leggings as well handbags, cosmetic bags and even funky heels. You can’t escape the products being marketed at women and at young girls, suddenly “Star Wars” is pink and shiny with rhinestones and is attracting both the non-geek and the geek gal. When you look at it like that, you’re attracting more fans and attracting women who may have never been interested in the fandom before or even interested in “geeky” things. While it took 30 years to include women from the fashion aspect, many fans have been crafting for a long time both hand painted and sewn the designs have been around for a long time. Next we’ll take a look at the high-fashion take over on the runways. If you’ve ever been to Walt Disney World or Disneyland you probably have seen the tourists from Tokyo or Hong Kong wearing merchandise you’ve never seen. From adorable purses with Duffy the Disney Bear’s face to super cool t-shirts printed with princesses and other characters. In recent years much of the merchandise released over seas is slowly making it’s way across from Asia to our stores here. Shellie May is probably the most coveted souvenir from Tokyo Disneyland and fetches a hefty price tag via eBay and other sites. Last year in August Disney announced that Japan’s beloved Shellie May was coming to Aulani Resort and Spa in Hawaii. Many fans of Duffy Bear have become acquainted with Shellie May and her adorable merchandise that shows up in Japan. Shellie who is Duffy’s friend also created by Minnie Mouse, keeps Minnie company while Duffy and Mickey are off on their own adventures. On Monday Disney Parks Blog announced that that Shellie May would be making her final leap onto the mainland, the adorable girly bear will be arriving at Epcot this fall. While it wasn’t announced if Shellie would get her own meet and greet like Duffy had, it was announced she would be available for purchase along with her own story book and set of costumes. Along with the arrival of Shellie May, Disney continues to bring over merchandise which had been created for Tokyo. If you have been living under a rock for the past 2 years, then you have probably heard about the Tsum Tsum craze that hit the U.S., the adorable stuffed toys which stack have been welcomed with a grand frenzy. A full set of Alice in Wonderland Tsum Tsum. 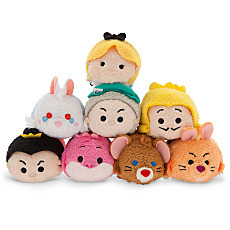 Along with the Tsum Tsum, Disney has also released merchandise to match their cute appearance. From socks to shirts, as well as dinnerware. This past week the Disney Store released their D/Style page, which includes a lot of these items along with a few other items such as handbags and a few other goodies. 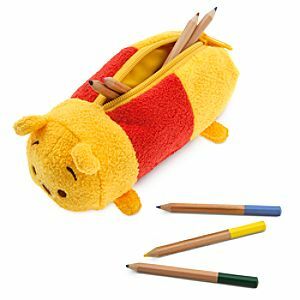 Winnie the Pooh stuffed Tsum Tsum pencil case. D/Style comes straight to us from Japan, all items found on the Disney Store website, they were designed by Japan’s creative team. According to the Disney Style Blog the items found in the collection are exclusive and bring a more “Kawaii” look to characters we already love, along with more Tsum Tsum. The collection which was announced earlier this year at D23, has been long awaited by many fans since it caters to the 18-30 demographic of women. Though one could argue the items cater to all ages since it’s cute and colorful, but also very stylish. Let me know which items you love the most on the new D/Style section and what you think of Shellie May coming to visit finally. 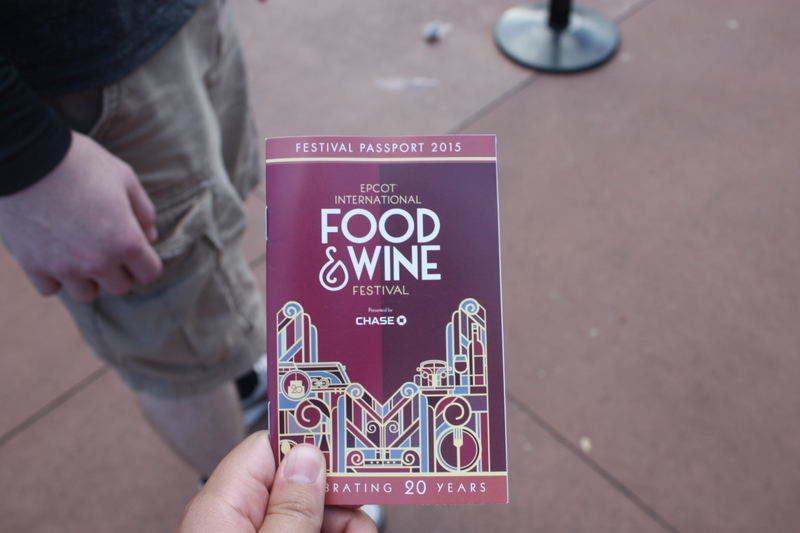 After life took over for about a week, I am back with second half of my Food and Wine 2015 experience. I went the second weekend October 2 and as I mentioned last time I went in with a plan. I was traveling with my boyfriend and mom, and we had agreed was as a group that France was the tastiest. In this post I’ll finish up my food experiences and most of all my love of Mmmhops and craft beer. From France we jumped over to Brazil, Brazil has to arguably be the most popular stand in the whole park. Every year I have gone the line is usually the longest at the event, probably only second to the Dominican Republic. Though the long line is with reason, I had skipped over it last year due to lack of money but this year I went in with 2 picks. The only thing I didn’t try was the frozen caipirinha, the national drink of Brazil and probably the most popular item sold there. 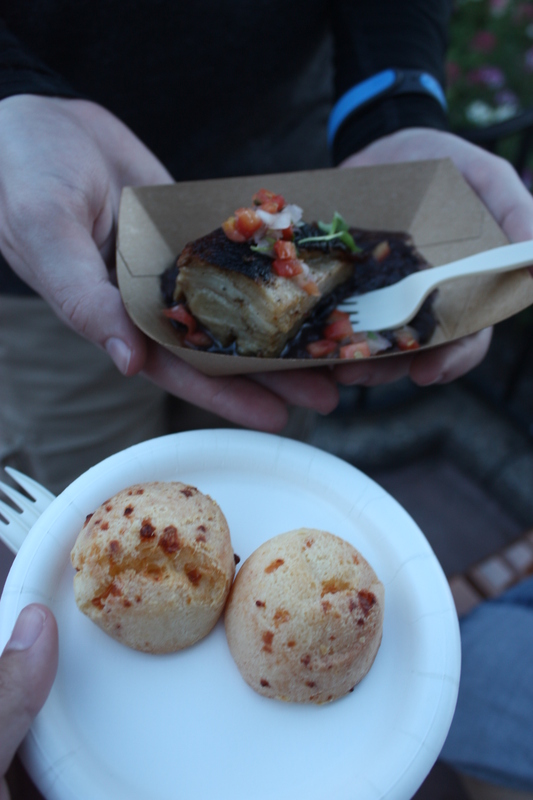 Pão de queijo: Brazilian Cheese Bread & Crispy Pork Belly with Black Beans and Tomatoes. The Pão de queijo or Cheese Bread has to the most popular food item, I always see people knocking these back and with reason. It’s warm and crispy on the outside, but inside you’ll find gooey cheese and the cheese is deliciously salty. I couldn’t begin to assume what kind of cheese it was but it was so good, and it is one of the few items I was able to split with my boyfriend since it brought two pieces. As for the Crispy Pork Belly, it was melt in your mouth but still had that nice charred edge so it lived up to its name. The other thing that should be noted about the pork belly is that normally these are fatty pieces, which is from the pig’s belly (if you couldn’t guess) and is the same region we get bacon from. The fat on this was so soft and broke down so nicely it was wonderful, I could have eaten the whole chunk by myself. Though I will say the best part of this dish was the beans with the chunks of tomatoes, they were almost close to a puree and so well seasoned, I would have eaten just a plate with beans. After such a wonderful dish, and my wanting a plate of beans it was time to for dessert. By the time I finished the pork belly, I was pretty stuffed and ready for some sweets I was also planning to leave room for beer which I was pining for. Unlike last year where I drank a bit more as opposed to eating, this year I set out for food and food only. So we left my mom on a bench between France and Morocco and headed back to the UK to Ireland. I actually had tasted this last year, my friend got it and I was hooked. 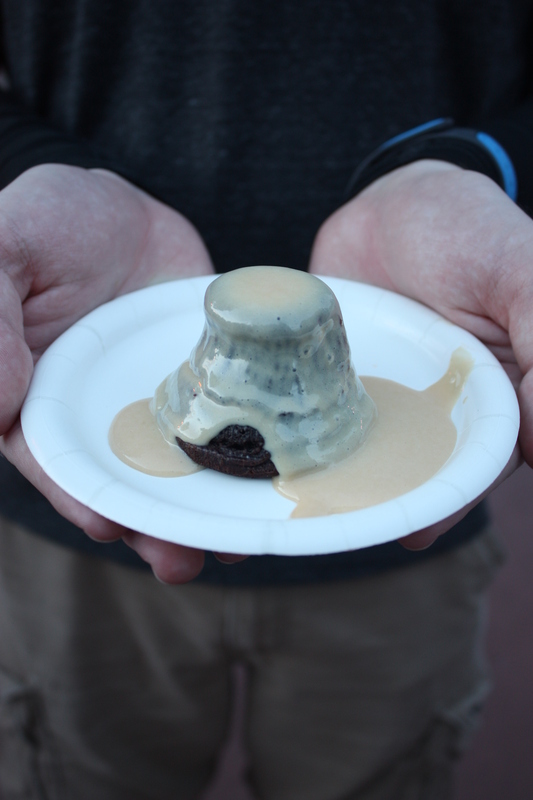 Now it’s listed as a pudding, but it’s actually closer to a brownie because the inside is gooey like a warm fresh brownie, but it also may remind others of like a molten chocolate cake with a firmer center. My boyfriend’s choice of dessert was the Apple Strudel from Germany, I will preface by saying this if you’ve eaten in Germany’s buffet restaurant you can skip this one. Apple strudel with vanilla sauce. I am not big on this dessert whether it is served part of Food and Wine or in the restaurant. I have kind of an issue with the pastry shells, since they usually get goopy after sitting around for too long. 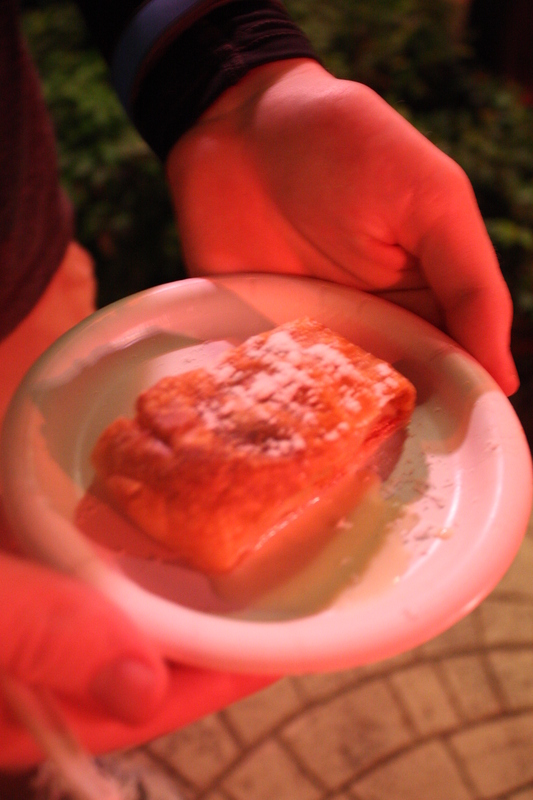 Though the apple filling and warm vanilla custard are amazing, the pastry shell ruins it for me. I ate at Germany the night after this, and I was just not impressed in there either. Again I think this is one of those desserts that truly needs to be served fresh and not be left sitting there. We continued through the world showcase after this trying to walk off the food and walking in through the themed gift shops. 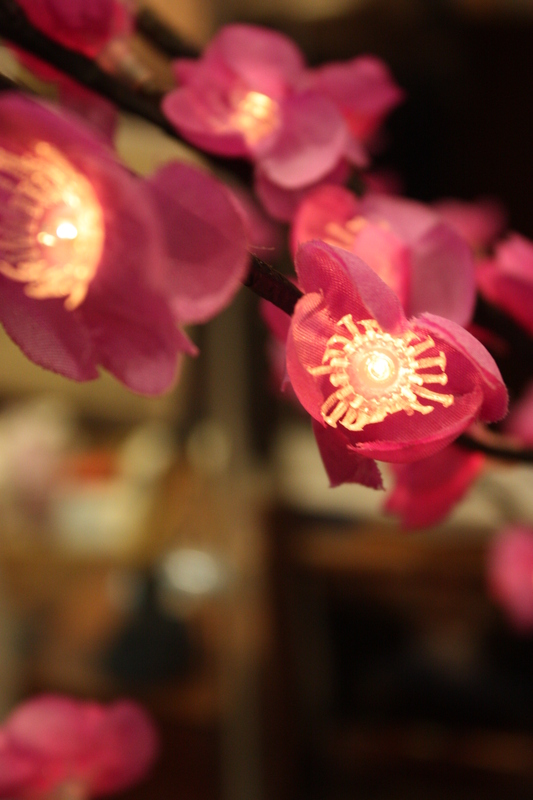 Light up cherry blossoms available in Japan for purchase. We stopped in the American Adventure for 2 reasons, my mom wanted a Lobster roll and I wanted Hanson Brothers Mmmhops Pale Ale. I for some odd reason did not take a photo of the lobster roll, but I will say it was very good and the bits of lobster were crunchy but well seasoned, it was also not drowning in sauce which is an issue I have encountered before. So let me say I tried Mmmhops last year, I still love it as much as I did then. I also jammed out to Hanson when I was a child in the 90s, they were the lead up to my obsession with NSync. Hanson is also scheduled to perform at Eat to Beat at this year’s Food and Wine on the November 10 & 12, it is also one of the last performances of the festival. Back to Mmmhops though, I love beer especially good craft beer. I came back this year with the intent to try the beer flight at the craft beer center in the Odyssey as mentioned previously. Despite the darkness in the photo, it does pour out in an Amber tone. The beer is medium bodied so if you aren’t into dark beers try this one, it also has some nice fruity undertones to it which give a balance to the hops. Like I said this is one of my favorite beers in the world and I normally prefer strong dark beers. It is available at Total Wine if you can’t make it out for Food and Wine, and you have to try it. Craft Beer Flight 2 with snack mix cones in the back. We ended up running into the Craft Beer area, after it began down pouring and we got soaked. This was our last stop either way, because I had come here with one mission only. Funky Buddha was doing a Vanilla Espresso Porter for the event, Funky Buddha is my local brewery in Broward County, FL. When I first tried Funky Buddha, I hated it. 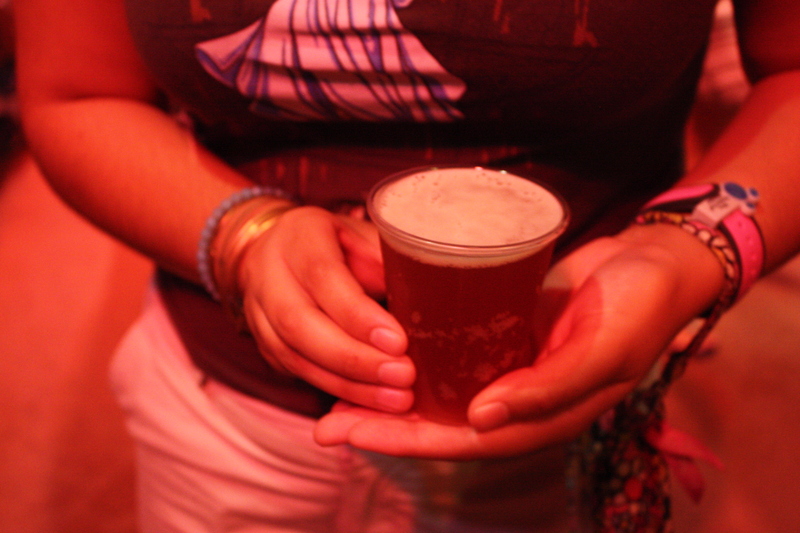 I continued to try and stomach the Floridian and Hop Gun, both of which Yelp raves about but I never could drink it. Even my editor at the paper I work at kept telling me to try others because I was being unfair, so I did. Long story short I am converted and I love the stuff. Their Vanilla Espresso Porter is a strikingly dark beer with heavy coffee notes and a smooth vanilla finish, it has to be one of my favorites they have done. 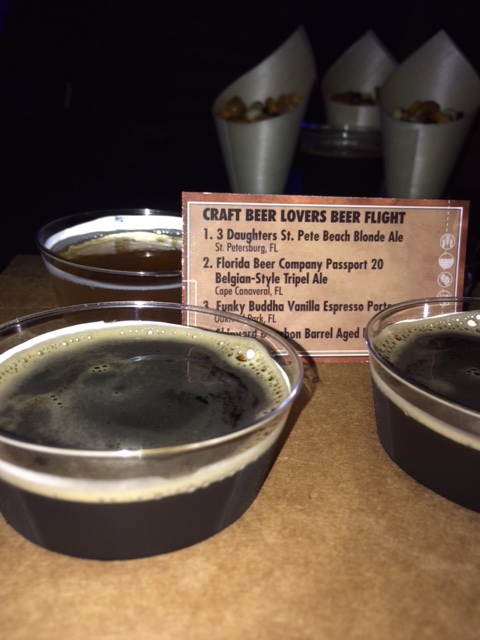 All the beers at Craft Beer are also Florida brews, and flight 2 is all the darker beers with the exception of the one Amber which is the 3 Daughters from St. Petersburg. This beer is also exceptionally good in the sense that it had a nice fruity and floral scent to it and just reminded me of a summer day in Florida. The Shipyard Barrel Ale in this flight is nice and oaky and should be sipped, if you’ve ever had the Kentucky Bourbon Barrel Ale this is it’s cousin. Finally in this flight Florida Beer Company Passport 20 Belgium-Style Triple Ale, another semi light one like the 3 Daughters. While I didn’t try EVERY booth, I think the ones I did try were great and absolutely delicious. 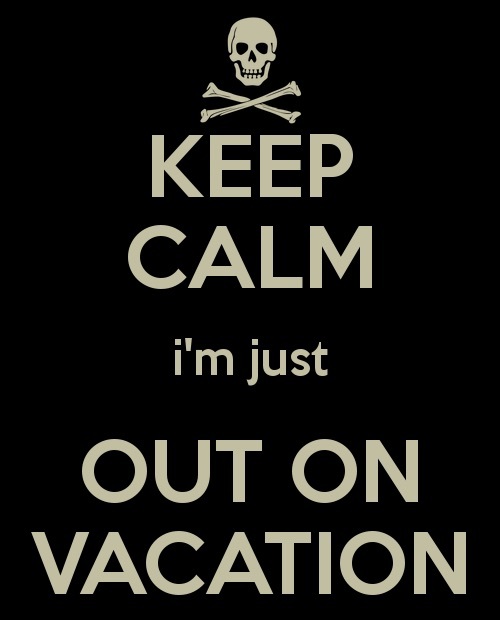 I plan to return next year, since I am not able to get anymore Vacation Club rooms till 2016. But I do suggest getting a gift card in order to not have to fumble with your credit card at every stand, and as I mentioned come into this with a plan. I mentioned in the first post that one of the plates was Disney Dining Plan snack eligible, all of the items are considered a snack on the Dining Plan. So get out there and eat your way around the world, I also want to thank my boyfriend who was awesome and held ALL the plates for me while I photographed them. You can see more of my Disney photos on my Deviant Art, the link is in my about page and you can also follow me on Instagram @DancinginMadrid. It is that time of year again, Pumpkin Spice lattes are flowing, leaves are changing and everyone is wearing sweaters. For me Fall means Food and Wine! 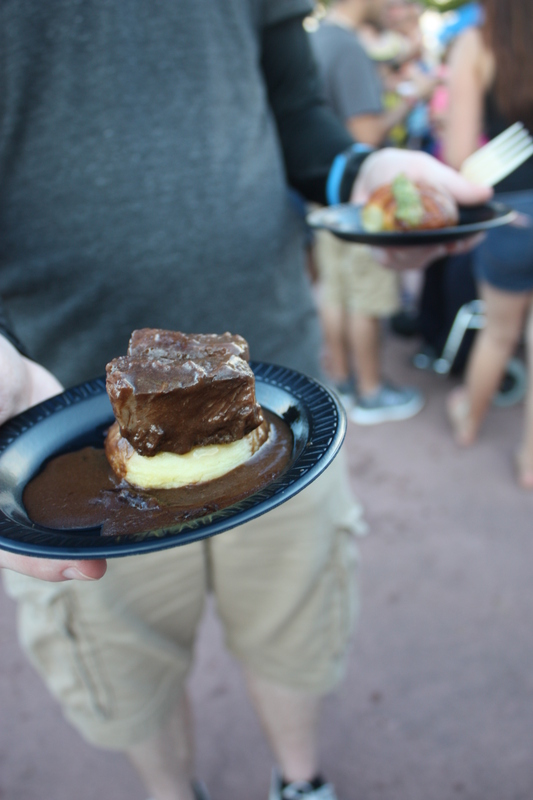 The Epcot Food and Wine festival takes place from September to November and brings together dishes from across the world. The event which is now in its 20th year, brought some new items and experiences to the park. While they had the usual booths and cooking experiences, this year’s festival invited ABC’s The Chew cast to shoot some shows on property and even brought The Chew lab to the park with speciality dishes. Back this year was 2007’s most popular booth, Dominican Republic, which brought along DR rum and delicious pork. Aside from the return of DR they also added a cheese studio and a wine studio. 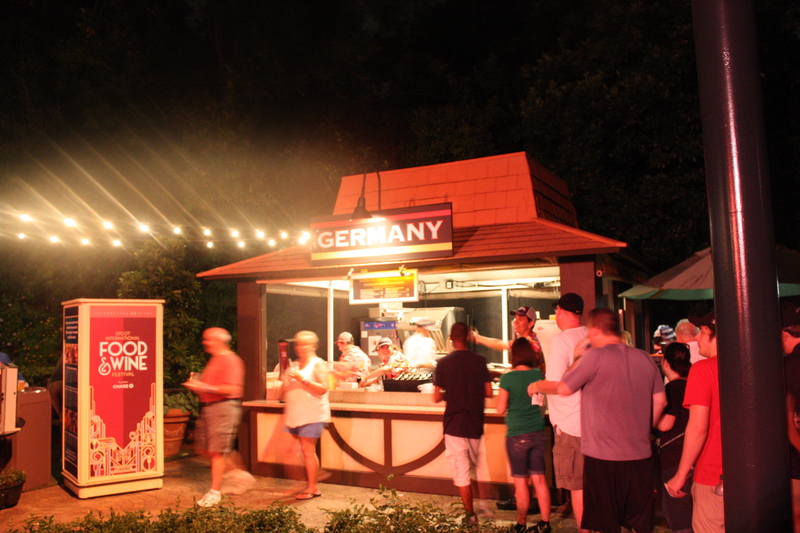 The event is spread from Future World to across The World Showcase, with the festival headquarters at what was The Wonders of Life pavilion located in Future World East from there the food and drinks stretch across the park. I find that having a plan for attacking the booths is best, knowing what you want and starting in an organized fashion is key. Either starting in the middle or starting at Mexico and working your way across is probably your best bet. I had a few places planned I needed to try, though with my mom and boyfriend and in tow things got a bit hectic and we ended up just kind of going with what looked good. We started in Australia since my mom wanted to try the shrimp, originally we were gonna start with a beer flight but the Co2 was being changed out on the flight we wanted so we headed into the park and got eating. Grilled sweet and spicy bush berry shrimp with pineapple, peppers, onions, and snap peas from Australia. We started in Australia, mom got the Spicy Bush Berry Shrimp. 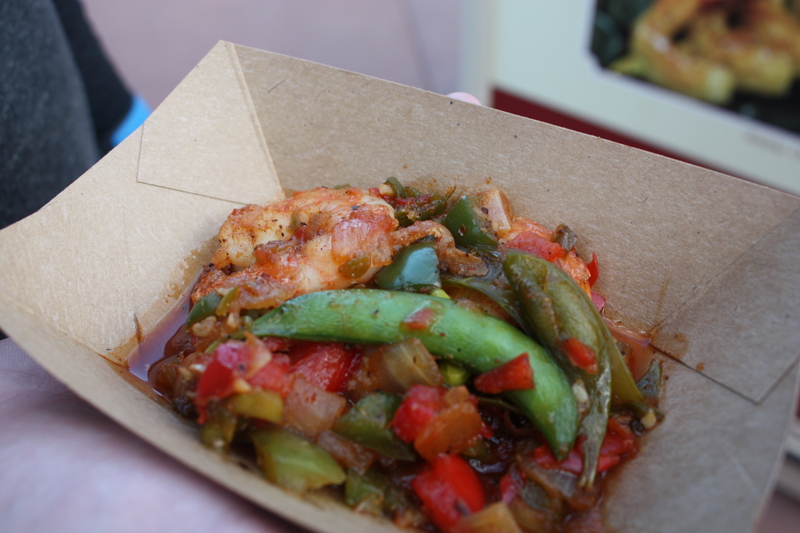 This dish is Gluten Free and also available on the Disney Dining Plan as a snack, though it isn’t snack sized. The portion brings 3 large shrimps covered in pineapple and veggies, while its hearty it also has a bit of kick. Mom said during her entire time eating the shrimp that she wished she had gotten a beer to go with it, but she enjoyed it. The shrimp had a nice crunch and the veggies were seared perfectly, soft yet with a good amount of crunch. From Australia we skipped over to DR, which was the booth I had wanted to try the most. While I have been visiting the parks since I was 18 months, last year was the first year I had tried any of the food in the booths and this year was the first I went in with the intent of trying everything I could. Last year this booth space was occupied by Puerto Rico which had delicious conch salad and tostones which are fried green plantains. This year DR had pork and plantains, Yuca soufflé, Pescado con Coco and Caramel Flan. I’ll preface by saying I am Latina, born and bred in Miami with Cuban food being served to me and I have a special place in my heart for Fufu de Plantano (Mangu if you’re from the Dr or Mofongo if you’re Puerto Rican). Fufu or Mangu as they had it listed on the menu is mashed plantains filled with onions and topped with pickled red onions, each country does it differently. Fufu and Mofongo contain fried pork rinds in it, where Mangu is usually more processed. Lechón asado: Roasted pork with mangú, pickled red onion and avocado. I will be honest Lechon Asado is a staple in most Caribbean countries and I am bias when I say this was amazing. 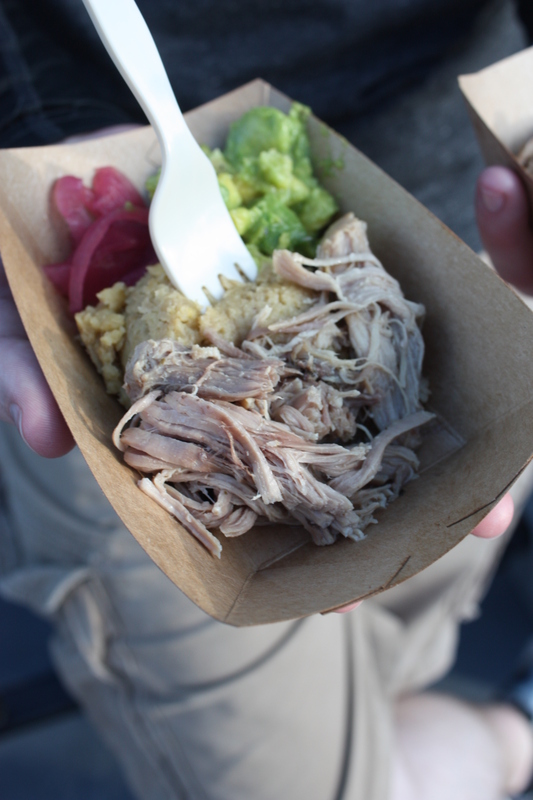 The pork was perfectly tender, the mangu was flavorful and the avocado was perfect. This dish is pretty typical in most Caribbean homes, at least my own and a few others but if you’re looking for authentic without having to head out of the country this is a great dish. I will be honest I could have gone for seconds and eaten this as a meal, it was just that good. 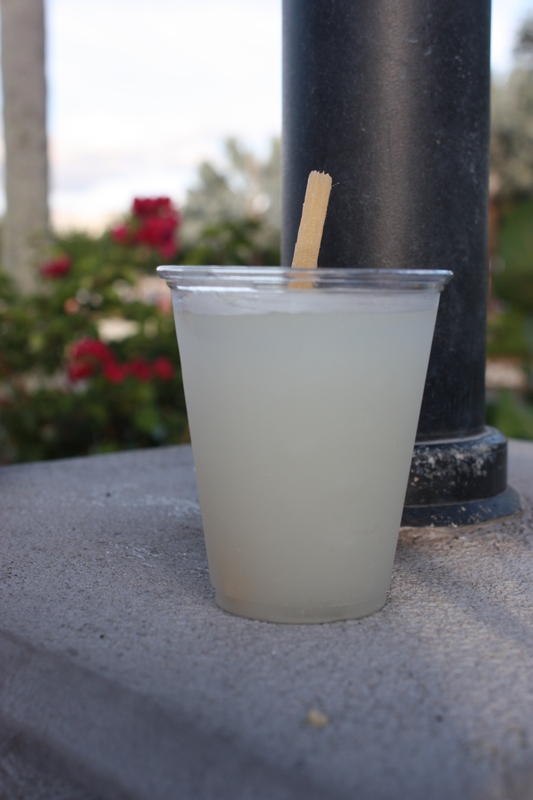 My mom also tried the sugar cane drink, which was very good and was blended perfectly since you couldn’t even taste the rum in it. It was a nice companion to the pork dish and I am sure it paired well with a few other selections on the menu. From the DR we roamed past Greece and Canada, I opted to skip both because of my dislike of moussaka and Canada didn’t bring back the fish from last year, though they had their cheese soup and wild mushroom beef filet mignon from the flagship restaurant at the park. Skipping past Ireland which was my choice of dessert this year, we arrived in France. France in my honest opinion out of all the pavilions in the park has the best food and drinks. If you haven’t already tried it go grab yourself a Grand Marnier slush, it has to be the BEST drink on property the best way I can describe it is candy in a cup, just go have one. In France I was challenged to try the Croissant aux escargots with garlic and parsley, because I had never had escargot before and both my mother and boyfriend are advocates of buttery snails. I also have a huge addiction to croissants so if I was going to eat snails? This was how I was going to do it, especially when the croissants are super buttery and flaky. This dish was actually the only one which gave me a bit of heartburn, there was too much garlic which I never say but this was the one time I found that it was too much for me. But the dish itself? 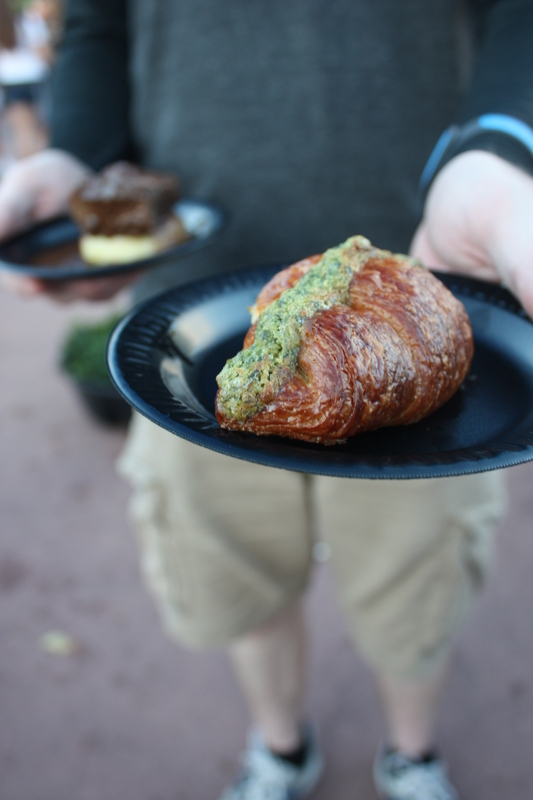 AMAZING the croissant was so buttery and flaky and the garlic and parsley added a great layer of flavor to the escargot. 3 escargot were in the croissant and were soft and buttery, they had a lot of flavor after sitting in the croissant and it was delicious. While I munched on my first set of snails ever, my boyfriend opted for the Boeuf bourguignon which was braised short ribs on top of mashed potatoes. Boeuf bourguignon: Braised short ribs in cabernet with mashed potatoes. The short ribs were extremely tender and they were slathered in a gravy with airy mashed potatoes which were equally good. The only downside to this dish was the fact that it was hard to share between the two of us, since biting into the beef was not an easy task without eating the whole chunk. Though it was very good and had a lot of flavor, but I think everyone agreed that the croissants were number one for us out of France. 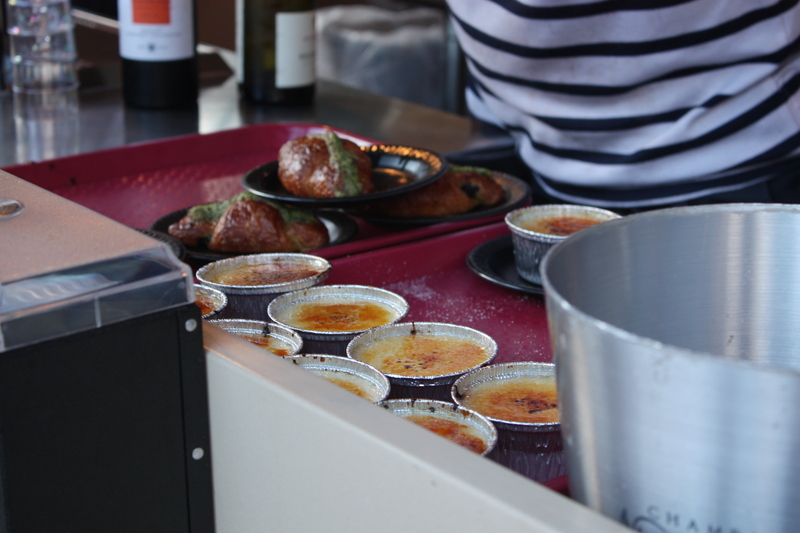 Sneaky Creme Brûlée photo from France along with Croissants. We as a group all agreed that France had the best dishes, we really enjoyed the beef and croissants which were all very good and out of all the booths I think France had the most organized system to serve us. Tomorrow I’ll be finishing up my Food and Wine experiences, from dessert to craft beer and talking about my obsession with MmmHops the Hanson Pale Ale. I live in one of those weird Disney families you think aren’t real, my mother’s first visit was in 1973 and my father’s not too long after that in the late 70s. Here I am at a year old hanging at Mickey’s Starland at Magic Kingdom. Myself? I have been going to Disney since I was 18 months old, I just turned 25 two weeks ago. I was also part of Disney’s College Program at age 19, working at the Magic Kingdom doing photos. I have in the last 25 years of my life experienced many different phases of the Disney experience. Original 1993 tickets from my New Years Trip. 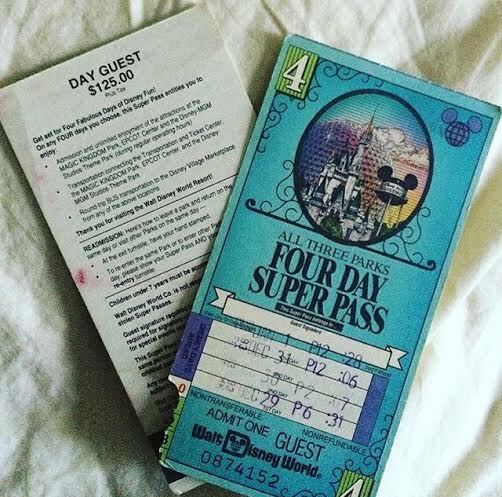 Back in 1993 during one of my first trips, $125 got you 4 days and unlimited entrances to all 3 parks. $125 is one day, into one park with no options. I have in the last 25 years of living in Florida watched the prices soar at the park and the options becoming less and less. But aside from that I have witnessed everything from punch tickets with stamps, to the newest and greatest technology the My Disney Experience. When I first heard they were doing away with the original fastpass system and forcing everyone to plan months in advance I was so upset. 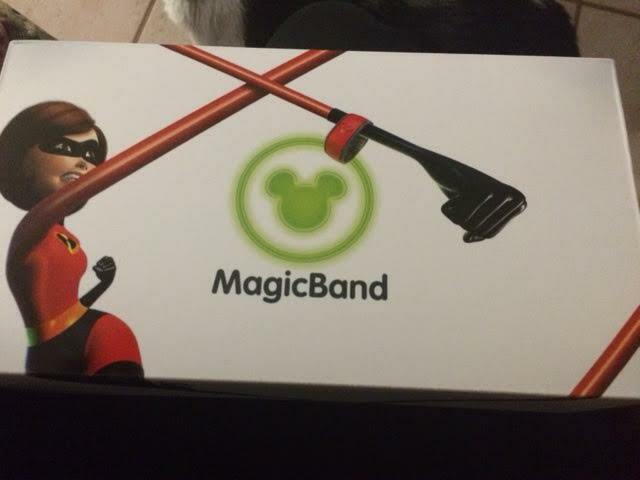 Granted, I’d been in the park in 2014 after the change over happened but during those trips I was using main gate tickets since my friend worked there so I had never had to deal with the Magic Bands or any of the hassle. While I am not big on changes, this was a huge blow for me because I was so used to the original system, I was so used to using the paper tickets as I walked in and keeping them in my wallet this whole new system freaked me out. My Magic Bands arrived in the cutest box though, and yes my band is pink. I know I sound like the grandma who isn’t used to smartphones, and I realize that but after this most recent trip I realize why. From the beginning I had to link my reservation over onto the My Disney Experience website, I had purchased Florida Resident Seasonal Passes (Known now as Silver Level) and I had to figure out how to use this system. While I had used a Magic Band during my last trip to get into my room, this was a whole new ballpark for me. As I set up the account, I had no idea how to customize the bands which were confusing to me anyway. As time went on and multiple calls to ticketing as well as getting a nice Vacation Club representative to help me, the box arrived and I was “set” for my trip. Well I got a follow up email telling me to download the My Disney Experience, which also allowed me to customize Fastpass+, and also sent me into trip anxiety. Yes, trip anxiety I had multiple dreams where I forgot our bands and also my phone making my trip experience more complicated than it needed to be. My Disney Experience Planning Page for my Trip. While the App for the phone is awesome, because it lets you access restaurant menus, it also lets you access wait times for rides. Previously you needed to download a third party application in order to see wait times, which were usually not very accurate. It also gives you maps and shows you where bathrooms are, which makes it easier if you aren’t too familiar with the parks. 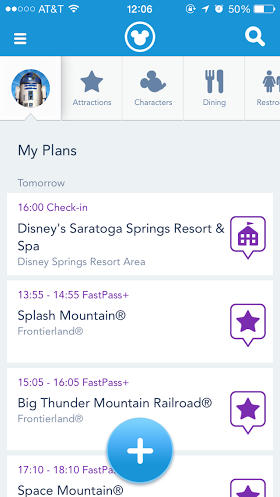 The app also lets you see your room reservation and Fastpas+ reservations. Originally my trip looked as above and I got all the good fastpasses, but as we arrived and life took hold my plans changed dramatically. While I do consider myself a planner and I keep myself fairly organized, this was just disastrous for me. To begin I noticed the app and the system don’t allow you to book multiple fastpasses for the same day. My Magic Kingdom experience had to be moved to Friday due to our driving schedule and arriving much later than anticipated, and when I did I lost all my Epcot fastpasses for that evening. Which sucked, because I had managed to snag Soarin’. That’s another issue I encountered at Epcot you have to pick from certain groups for certain experiences, which means I have to pick either Test Track OR Soarin’ I can’t have both. Back when you used the machines, you could pull as many passes as you wanted but had to abide by the 2 hour rule between accessing more passes. But as the trip went on and my mom accompanied myself and my boyfriend we found that the plans we had just kind of disappeared. I also kept forgetting to cancel my passes, which I am sure ticked people off who wanted them if they weren’t released back into the system. I also hate that you have to angle the bands in such a way, so that they will read. I had a lot of trouble getting into my rooms and worse yet I am left handed so trying to wedge my hand sometimes into the door frame was harder than I would like to admit. Most of the time I found it easier to just pull the band off all together and just tap it like that because of the awkward angle. As for the bands themselves, I didn’t know about the activation of the tickets so I had to go stand in line over at Will Call and have the tickets activated. From there I had to proceed back to main gate to enter again, in the same day I had an issue at Epcot and for some odd reason had to have my photo taken? I felt oddly like a criminal because the passes are mine, they are paid for and the woman who helped me fix my pass was just not too nice about the whole thing. Theme Park Insider 2 years ago wrote a great experience article about when the system was still really buggy, and I find that some of these things still are true today. While many people will scoff at me and say “Oh you’re just being grumpy” or “You just need to get with the times” I just unfortunately can’t. The bands cause me more stress and in the end ignored all the planning I had done and just enjoyed the park haphazardly. I have been absent, that I am aware of but unfortunately life has been busy and I unfortunately for the first time in maybe 4 years? Got the flu. Yes THE flu, I spent a week miserable and used almost all my sick time up at work because of how bad it was. Aside from being a sick mess, I was also largely uninspired due to my sickness so it’s why I have been silent. The last three days I spent dealing with work and catch up, as well as a few contracting projects. So so here we are October 1, and I’m getting ready to leave for Orlando and yes DAPPER DAY! I have largely unplugged from writing for the next few days but alas can you blame me? I’ll also be at Food and Wine for the second year as an adult, I’ve been in the park for the last 20 years as an onlooker but last year was my first year actually eating the food. So be on the look out for that post when I get back along with pictures. I’ll be covering Dapper Day this year with a largely closed park and the new Disney Springs. While I won’t be on here at all, since I don’t have the app and my computers are staying at home you can follow my adventures on Instagram @DancinginMadrid I’ll be posting there before anywhere else or follow my Twitter @TheAlexWho to see what I have to say. Aside from that, I’ll see y’all in a week with new posts and I’m thinking of adding some new elements to the blog.